While the 2012 London Olympics continues here is another Olympics list. I have compiled a list of the top 10 disgraced athletes. These are athletes that were either disqualified or stripped of their medals. This list is current to the posting date and includes a major scandal from London 2012. 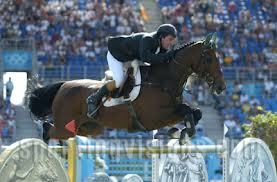 Irish show jumper Cian O’Conner, riding his horse “Waterford Crystal” became a national hero, as the only Irish medalist that year. However, it emerged that “Waterford Crystal” was tested positive for a prohibited substance and O’Conner was stripped of his gold medal as well as receiving a three month ban from competition. The Irish Show Jumping team was also disqualified. Finnish runner Paavo Nurmi won a total of nine gold and three silver in the twelve events in which he competed at the Olympic Games from 1920-1928. 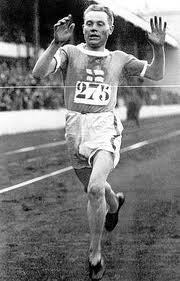 In 1932 Nurmi was unable to compete at the Olympics as he was controversially branded a professional. The main investigators of the ban were Swedish officials, this was seen by many Finnish as jealousy. 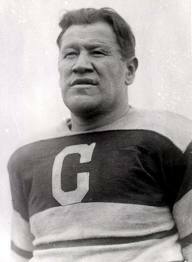 American athlete Jim Thorpe was stripped of his gold medals in decathlon and pentathlon after it was learned that he had played professional minor league baseball three years earlier. In solidarity, the silver medalist Hugo Weislander (Sweden) refused to accept the medals offered. The gold medals were returned to Thorpe’s family in 1983, 30 years after his death. Romanian Andreea Raducan became the first gymnast to be stripped of a medal after testing positive for psuedoephedrine (a banned stimulant). Raducan took nurofen, a common over-the-counter medicine to help treat fever. 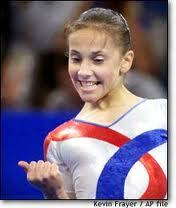 The Romanian team doctor who gave her the medication was expelled from the games and suspended for four years. The gold medal was advanced, but she was allowed to keep her gold from the team competition and a silver for vault. Swedish wrestler Ara Abrahamian placed his bronze medal on the floor immediately after it was placed around his neck in protest for his loss in the semifinals. He was subsequently disqualified by the International Olympic Committee. 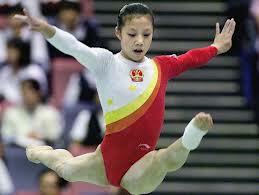 The Chinese gymanistic team were stripped of their bronze medal when investigations found that Chinese gymnast Dong Fangxiao was only 14 (to be eligible the gymnastic athletes must turn 16 during the Olympic year). The US woman’s team, then moved up to third top receive the bronze medal. Three time Olympian, Cuban taekwondo athlete Angel Matos was competing in the bronze medal match when Swedish referee Chakir Chelbat gave a time warning. 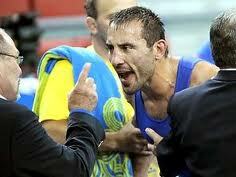 When Matos did not return to the center, the ref ruled he had taken too long and disqualified him. Matos briefly argued with the ref, then kicked him in the face, pushed a judge and spat on the floor, before being escourted out by security. 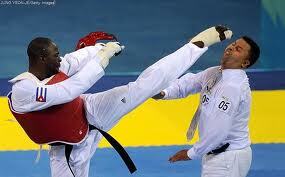 He was then banned for life by the World Taekwondo Federation. United States sprinter Marion Jones won 5 medals in track and field. In 2007 after a lengthy investigation, Jones admitted in court to have taken performance enhancing drugs (PED’s). She and her relay team mates were stripped of their medals. Other individual medalists were advanced, but not all. Four badminton women’s doubles were disqualified. The teams were from China, Indonesia and two teams from South Korea. The players went before a disciplinary hearing, a day after spectators at the arena booed their performance after it was clear that these teams were deliberately trying to loose. The teams were doing this in order to obtain an easier matchup in the knockout round. Soviet pentathlete, Boris Onischenko, was found to have used an épée (dueling sword) which had a modified pommel, in the fencing portion of the pentathlon event. When activated this moderfication would cause the electronic scoring system to register a hit no matter if the épée had connected or not. 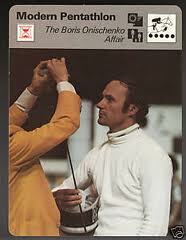 As a result, he and the entire male Soviet pentathlon team were disqualified. The British team who exposed Onischenko went on to win the gold medal.